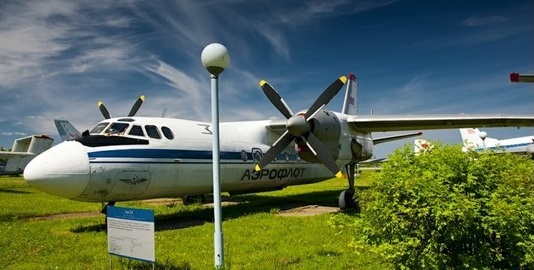 Development of this twin-turboprop transport was started in 1957, to replace piston-engined LI-2 and Il-14's types on Aeroflot's internal feederline routes. The An-24 was intended originally to carry 32 to 40 passengers, but when the first of two prototypes flew on 20 October 1959, it had been developed into a 44-seater. It was followed by a second prototype and five preproduction An-24. On the prototype, the engine nacelles extended only a little past the wing trailing-edges: production An-24 have lengthened nacelles with conical rear fairings. 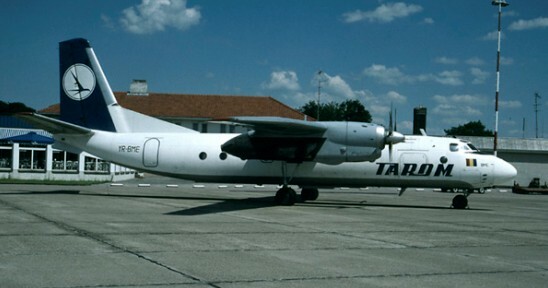 A ventral tail fin was also added on production models of the passenger-carrying version, which are supplemented by the An-24T and An-26 specialised freight-carrying versions of the same basic design. Flight testing was completed in September 1962 and the An-24 entered service on Aeroflot's routes from Moscow to Voronezh and Saratov in September 1963. The An-24 is designed to operate from airfields of limited size, with paved or natural runways and can be fitted with rocket-assisted take-off units to permit operation with a full load of cargo at ambient temperatures above 30°C. Two were taken to the Antarctic in late 1969, to replace piston-engined Il-14 used previously for flights between Antarctic stations. Deliveries of the An-24V started in 1962. The An-24RV features a small turbojet in the right engine nacelle to boost takeoff performance and up to 5 crew and 50 passengers. Production ended in 1979 with over 1460 An-24 variants were built in Kiev, Irkutsk and Ulan Ude in the former USSR/Ukraine. An An-24 variant entered production in China as the Xian Y-7. It was widely exported, serving in more than 20 countries. It was developed into the An-26 (freighter), the An-30 (survey/photo) and the An-32 (hot and high version). The An-24RT variant became the basis for a developmentally improved design in the An-26 "Curl". Engines: 2 x ZMBD Progress (Ivchenko) AI-24A turboprop engines generating 2,250eshp each.